I like happy endings. I don’t try to hide it. I figure there is enough tragedy and suffering in the world, and while we do often read fiction to learn about life, we also read as an escape from the things that bring us down. I write what I want to read, and I want to read something that ends with happiness, hope and the promise of a brighter future. Hope is a common theme in YA, while “happily ever after” is frowned upon. A lot of people don’t believe in “happily ever after,” but I’m still a believer. When I was work-shopping Before They Find Us with my MFA program, I knew how it would end. I wrote the ending Beck told me to write, even though I knew it would be unpopular with my professor and probably most of my writing peers. Still, I felt like I owed it to Beck to write the end of her story. Knowing that the Epilogue would probably get trashed when I sent the book out on review and with this insight from my professor, I decided to leave the Epilogue out of the final draft, much to the dismay of some of my beta readers. I’m not ashamed of the ending. I know these characters. 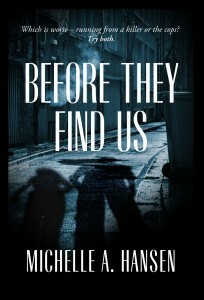 I know how they wanted their story to end, so in a way, I felt like I was protecting them by keeping the Epilogue out. But, I figure anyone who connects with the book well enough to head over here to my website deserves to have those final few pages. When you read it, I hope you’ll come back and tell me what you thought. Should it stay out? Or does it deserve to be put back in? Leave a comment and let me know! 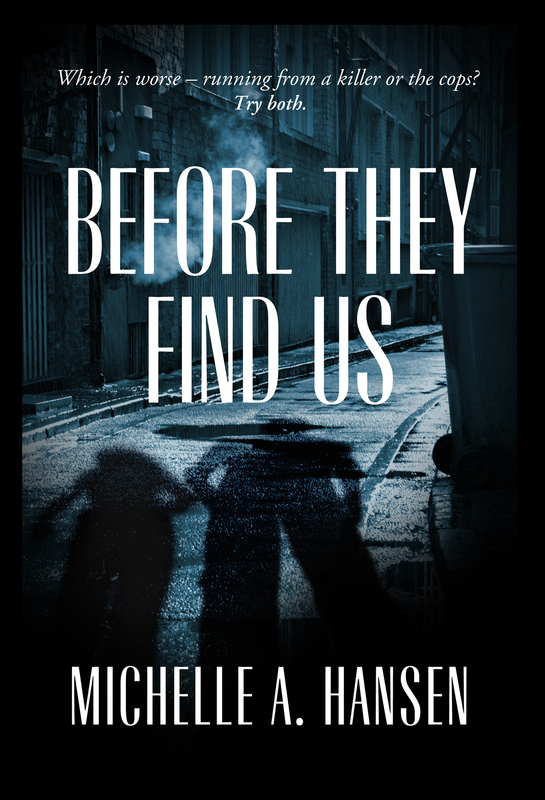 This entry was posted in announcements, blog tours, book release, events, giveaway, Uncategorized and tagged blog tour, epilogue, giveaway, unpublished by michelle. Bookmark the permalink. I can’t wait for this to get to my mailbox. I am dying to know what happens to those two. I hope they are together and happy! Honestly, I think the epilogue is perfect, but I don’t think it should be in the book. The book ended on a happily-ever-after note that’s very realistic, and while I think the epilogue certainly fits, I suspect some people will think it’s too ideal. For those of us that are utterly in love with the story, it’s wonderful either way, but for those who lean toward cynicism, it might sour their acceptance of that rare young love that survives everything life throws at it. That is exactly why we took it out. YA gets criticized pretty harshly if it’s too happily ever after. The rule of happy endings in YA is usually, happy for now with promise of a future. Thanks for your comment. Makes me feel like my gut instinct was correct. Still, I want fans to have the last few pages. I think it would be a wonderful way to end the book, so my vote is yes.